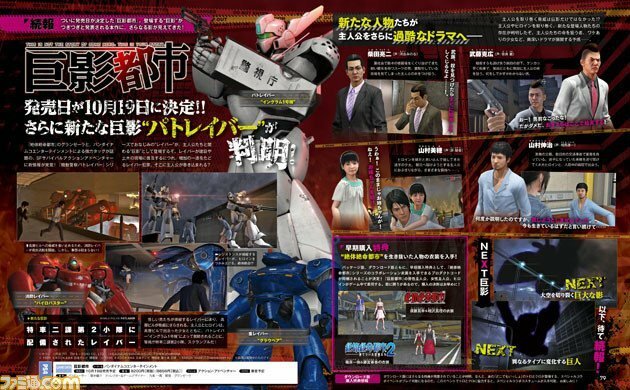 PS4 game City Shrouded in Shadow announces the addition of the Ingram from Mobile Police Patlabor alongside a Japanese release date of October 19th. 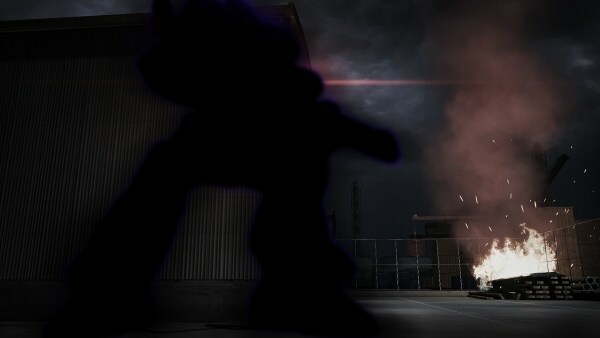 Granzella’s and Bandai Namco’s previously announced PS4 game City Shrouded in Shadow has recently announced its release date alongside the reveal of the 5th “giant shadow” that has been teased various times before in previous issues of Famitsu magazine. This teased 5th “giant shadow” from a fifth work turns out to be the AV-98 Ingram from popular mecha franchise Mobile Police Patlabor. The Ingram was previously teased to be “a highly mobile giant shadow that is accompanied by gunshots and sparks that cut through the darkness.” Ingram will be joining the likes of the previously unveiled giant shadows Ultraman, Alien Zarab/Nise Ultraman (“Fake Ultraman”), Godzilla, King Ghidorah, Evangelion Unit-01, Fourth Angel, Gamera, and Legion Soldiers. Additionally, the Ingram will not be the only unit from its franchise to join the game, the CRL-98 “Pyro-Buster” and Type 5Q/2C “Grau Bear” will also make an appearance. City Shrouded in Shadow will be released in Japan on October 19th. It will cost ¥8,200 (about $72.60 US) and costumes from Disaster Report 1 and Disaster Report 2 are included as a preorder bonus, with the digital download version including a bonus event scene featuring Sony Interactive Entertainment characters Toro and Kuro. Lastly, City Shrouded in Shadow‘s official Twitter account confirmed the released of its first official trailer on July 6th. More information about the previously announced characters, plot details, game features, and giant shadow scenarios can be found here.